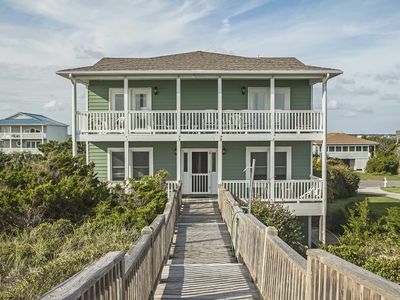 Relax & enjoy the ocean & sand dune views from this beautifully restored home. 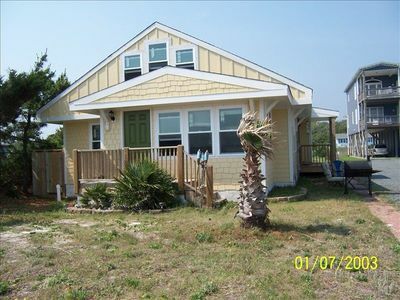 Nick named ' old school ' by friends. 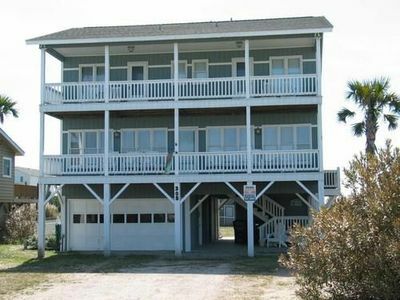 this cottage offers a cozy cabin feel steps from the water.Downstairs 1 king size bedroom, 1 queen size bedroom, 1 bedroom with bunk beds. 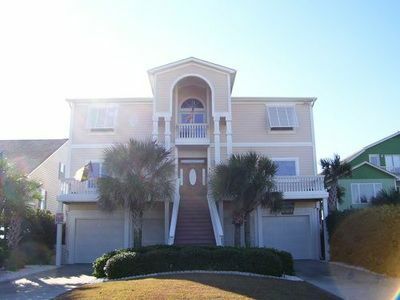 Upstairs totally separate loft apartment with twin beds and queen sleeper sofa. 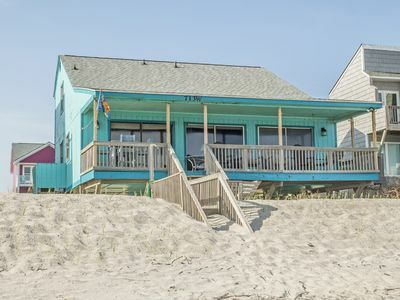 This home has been totally restored with yellow pine walls and flooring. 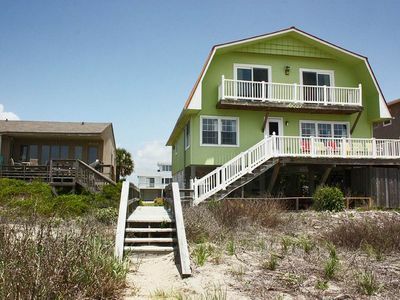 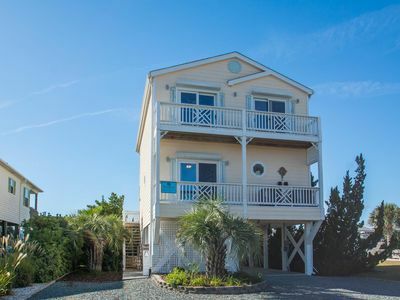 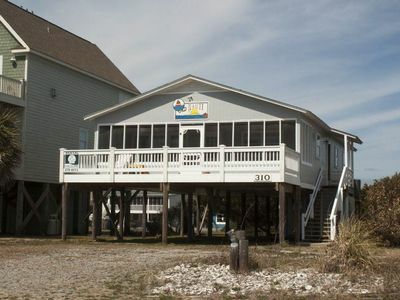 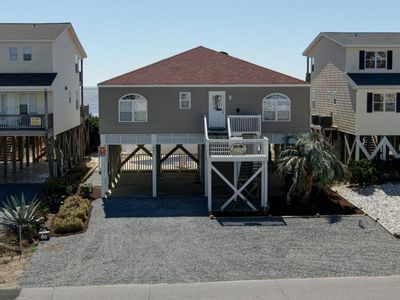 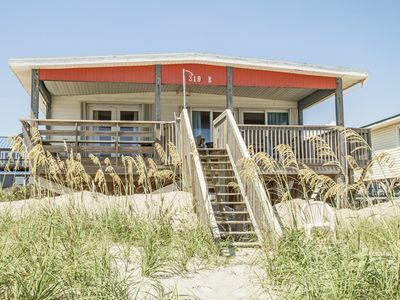 Must see.The beach is 100 feet from from this cozy cottage which has an enclosed outside shower that has hot and cold water.several restaurants and stores are within walking distances. 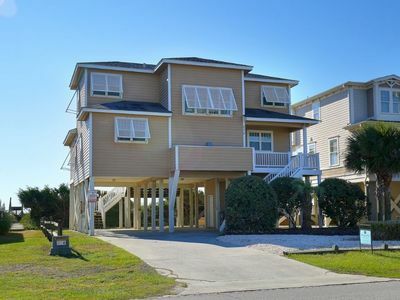 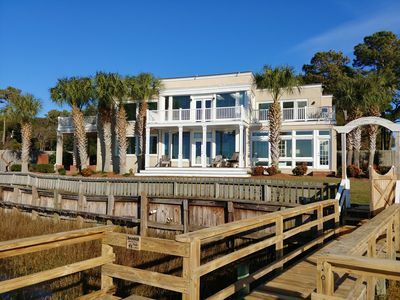 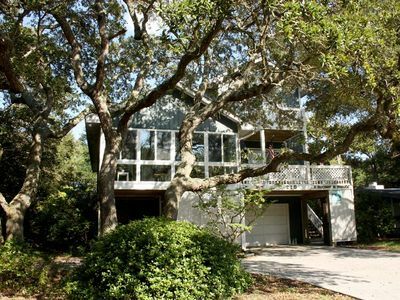 Luxurious, Peaceful Bayfront with Breath-taking Views, Fishing and Crabbing! 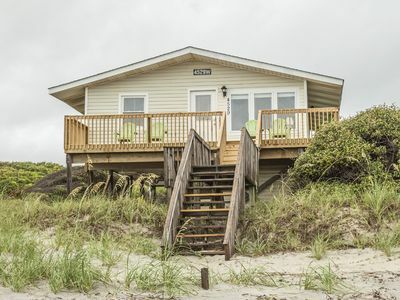 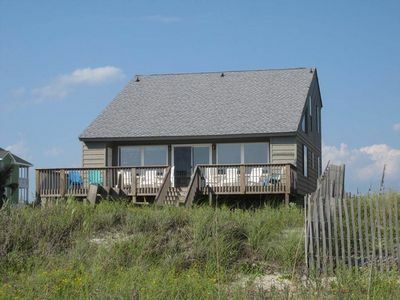 Comfortable, Cozy Oceanfront Beach Cottage! 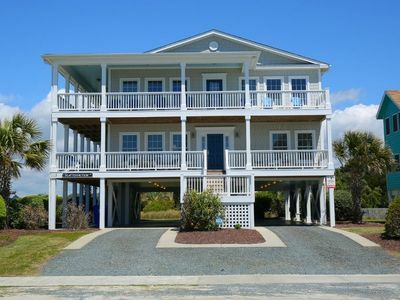 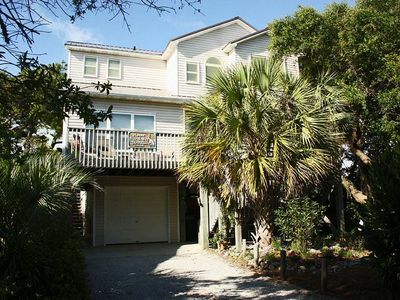 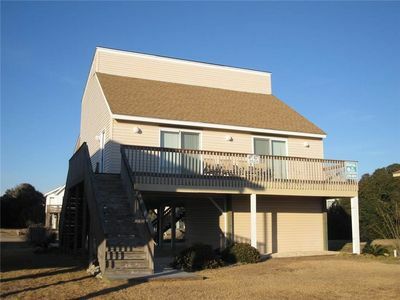 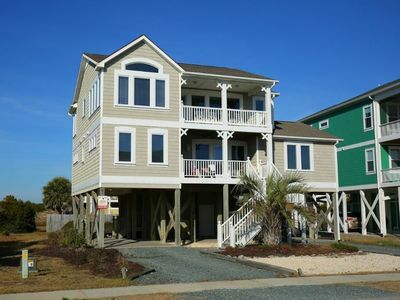 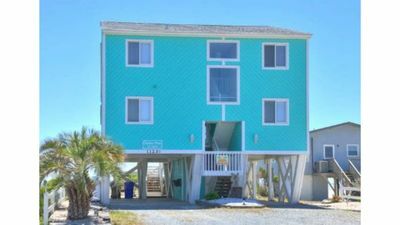 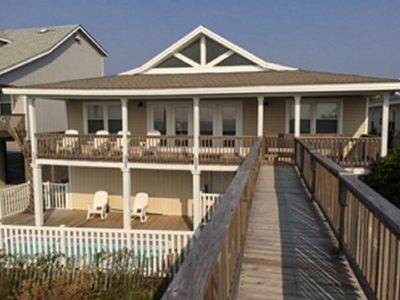 Oceanfront with Private Heated Pool!